A Geshema candidate at this year's Geshema examinations in Dharamsala, India. 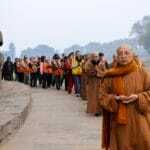 Photo via Tibetan Nuns Project (courtesy of Venerable Delek Yangdron). The Geshema degree is the highest training in the Gelugpa school of Buddhism, previously only available to men. Now, 20 nuns have earned Geshema degrees. 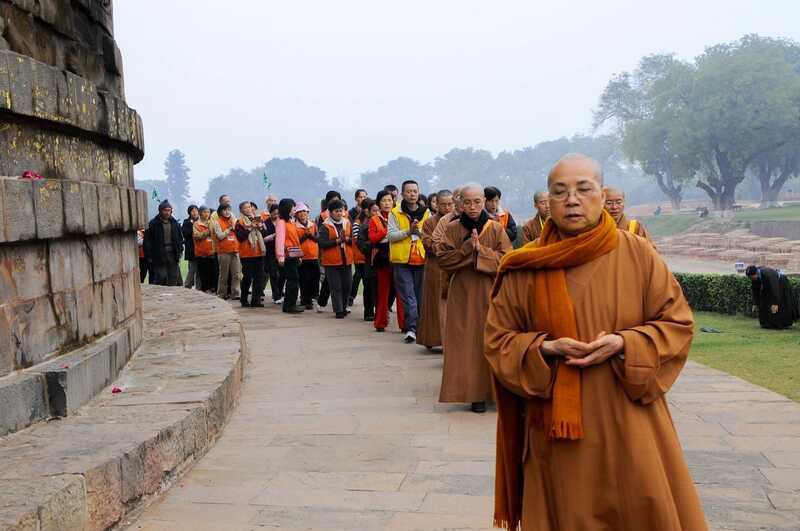 Venerable Master Wuyin of Luminary International Buddhist Society leads a pilgrimage at Deer Park in Sarnath, India. Photo courtesy of Luminary International Buddhist Society. 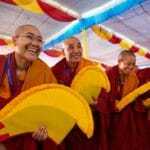 Karmapa announces plan to restore nuns’ vows in the Tibetan Buddhist tradition. 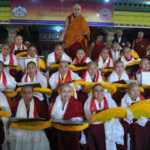 His Holiness the Dalai Lama awarded the first ever 20 Tibetan Buddhist nuns with Geshema degrees yesterday at a ceremony at Drepung monastery in South India. 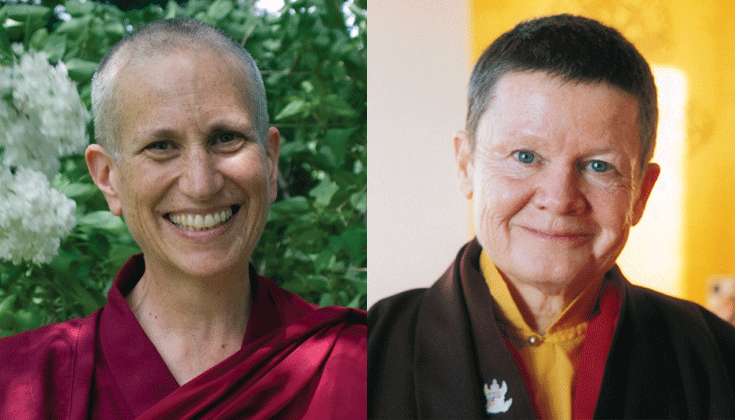 Thubten Chodron (left), photo by Sravasti Abbey. Pema Chödrön (left), photo by Liza Matthews. 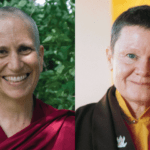 Pema Chödrön and Thubten Chodron have been awarded the Global Bhikkhuni Award for their achievement in promoting, protecting, and preserving the dharma. 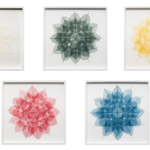 Minimalist artist Miya Ando has created a series of five mandalas to be auctioned online that will raise funds for the Tibetan Nuns Project. 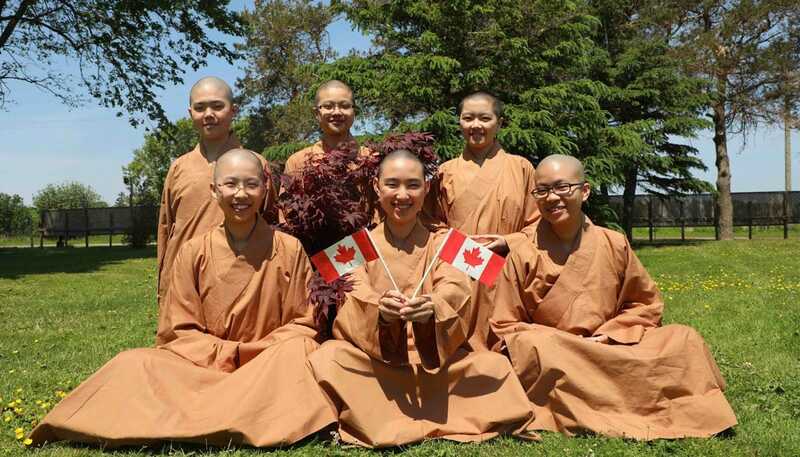 Nuns from the Great Wisdom Buddhist Institute via Buddhist Nuns of PEI on Facebook. 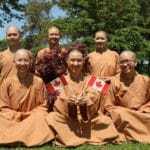 The Great Wisdom Buddhist Institute has received government approval to build a Buddhist monastery that will house 1,400 nuns in Brudenell, Prince Edward Island, Canada.